Erin Scala, going for a magnum of Champagne, because, why not? For the better part of a decade, Erin worked in New York City at several Michelin star restaurants, notably JoJo, PUBLIC, and The Musket Room. In 2014, she returned to her home state of Virginia to run the wine programs at local downtown restaurants, Fleurie & Petit Pois. 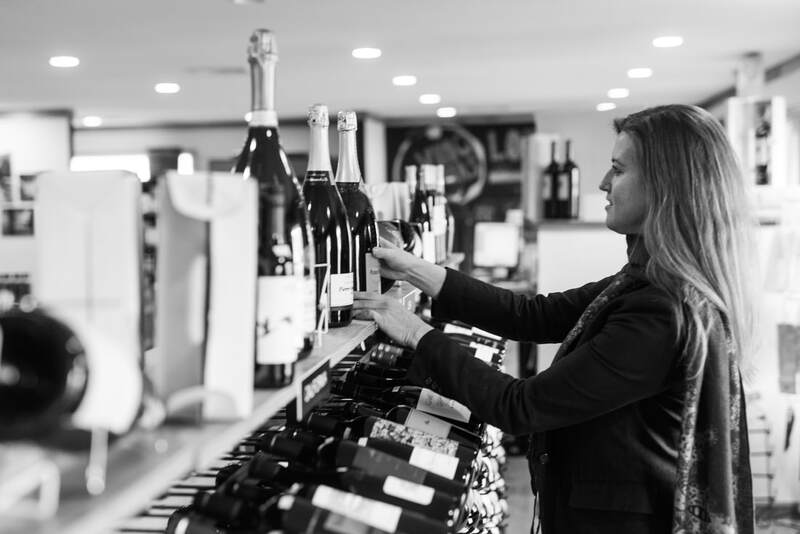 Today, she is the sommelier at Common House social club in downtown Charlottesville, and since 2017, she's owned In Vino Veritas Fine Wines, a wine retail shop in Keswick, Virginia. Erin writes the thinking-drinking wine blog, produces audio essays for the I’ll Drink to That wine podcast, and consults about wine privately and commercially through her company, ThinkBev. Her articles about wine have been published in The Washington Post, Wine & Spirits, Wine & Country Living, and Knife & Fork magazine. For several years, she covered the Virginia wine scene in a column for her local paper, The C-Ville Weekly. Named one of Wine Enthusiast's 40 Under 40 wine professionals to watch, her wine list at Fleurie won a Wine Spectator “Best of Award of Excellence” in 2016 and 2017. Erin received a James Beard Rhône Rangers Travel Study Grant to study Rhône varieties in California in 2016. She competed in the Sommelier Scavenger Hunt held by Wine & Spirits Magazine to find delicious Pinot Noirs in the Santa Cruz Mountains AVA in 2017. In January 2018, the I'll Drink to That podcast was written up in the New York Times.